Ulm is one of the most beautiful city as well as a popular honeymoon destination of Germany. This historic city, founded in 850 is very rich in history and tradition. The architectural attractions of the city are highly praised. Most importantly this is the birth place of the great scientist Albert Einstein. In this package honeymooner enjoy a perfect blend of art and culture, along with some of the best natural scenes of the region. On arrival at the Munich Airport, check in at your hotel room and rest for the day. Later in the evening couples can go for shopping or can enjoy the lively nightlife of Munich. Rest overnight. Today after breakfast you get all day to explore the beauties of Munich city. This city is very rich in history and is the house to many churches, castles, palaces, museums and monuments. Later in the evening return back, have dinner and rest overnight. After an early breakfast, check out from hotel and drive towards to the historic city of Ulm. 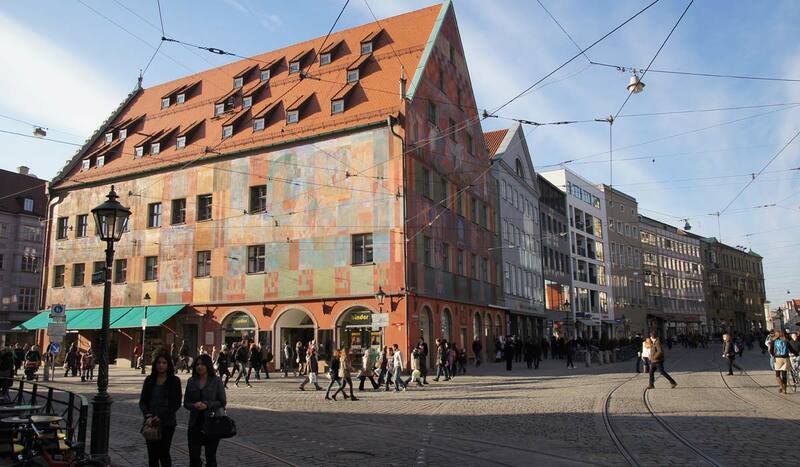 On the way do visit some of the most important attractions of the Augsburg city. Couples can also try some traditional German food in lunch. Later in the evening drive to Ulm, check in at your hotel room, have dinner and rest overnight. Today after your breakfast set out for a full day excursion of the city. Ulm is vary rich in history and tradition and is well known for its ancient monuments. Besides the city is full statues of sparrows, which is also the logo of the city. Rest overnight. After breakfast, collect all your belongings, check out from hotel and drive back to the Stuttgart Airport to have your onwards journey. Tour ends here. Hope you enjoyed the journey. If you are not able to make up your mind from any of the tour itinerary or hotels listed above in Ulm Romantic Honeymoon Package, then we can also make changes and provide a customized, tailor-made romantic honeymoon vacations, especially for you. We can modify this package as per your budget, duration as well as the tourist places you’d like to visit or whether airfare should be included or not. This customization helps you make the best out of your honeymoon package with your loved one and keep the candle of romance burning.